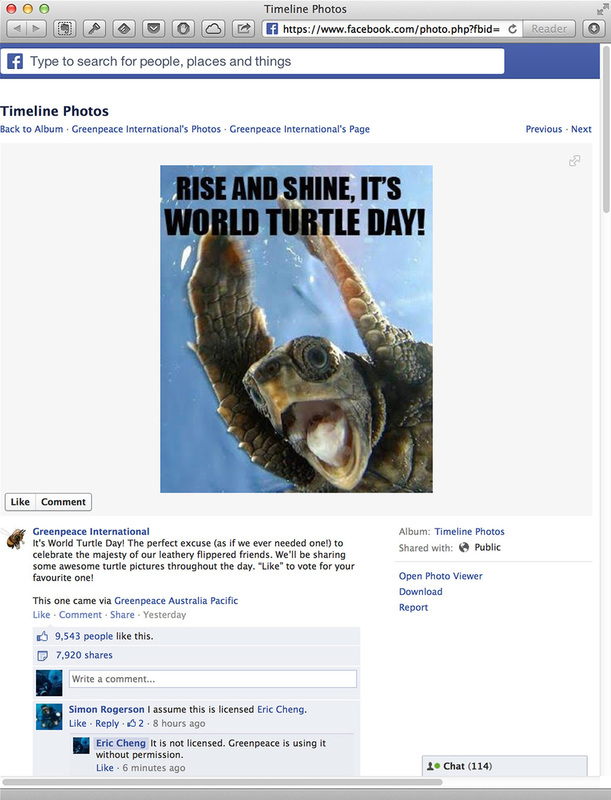 Greenpeace International is using my screaming turtle picture without permission nor credit. 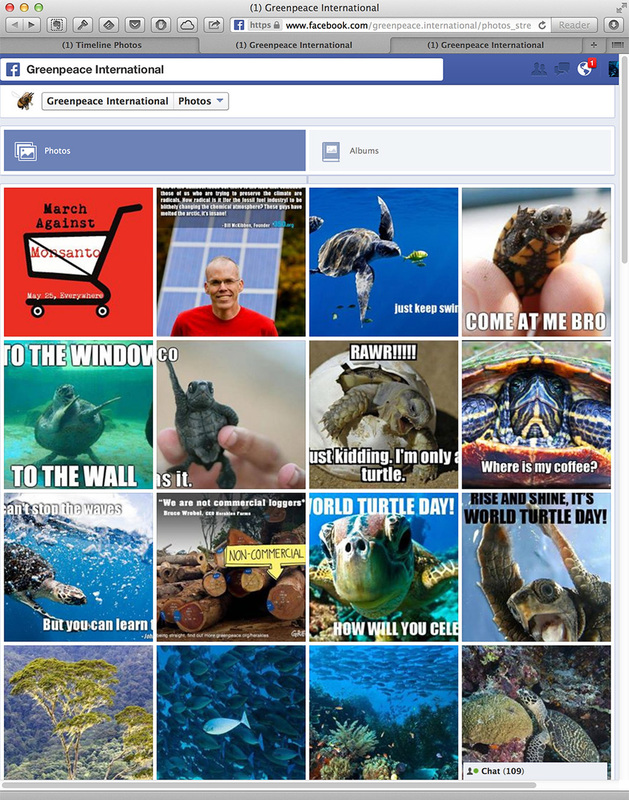 Most of their feed, for the past couple of days, consists of pictures ripped from the internet and modified with text, uploaded directly to their Facebook timeline. While it is cool that they like these pictures, it isn't very cool to disrespect the photographers that took them.